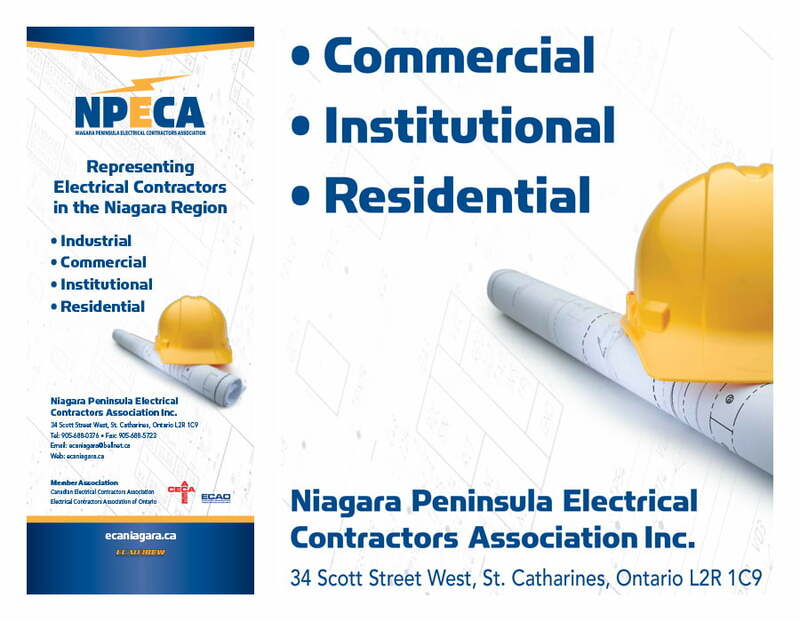 As the local union office for Electrical Contractors in the Niagara Region, the NPECA was looking to rebrand themselves to show the decision makers of the area and beyond the importance of dealing with a unionized company for their electrical contracting needs. The executive director conducted a search and determined that The Graphix Works was their best option to undertake this project. As a result of our efforts, the client was able to launch their new brand through an industry day that they held at a local banquet hall where purchasing managers and other key decision makers were invited to listen to key people in the NPECA and peruse the various materials we developed. The NPECA continues to use their new online presence and printed materials to promote themselves to buyers throughout the region. The Graphix Works met with the board of directors and made a presentation to outline the details of this rebranding exercise. It was decided that the Association needed a new identity together with a new website, various printed communication pieces and trade show banner stands and booth designs. Once the identity was developed we moved onto the website and other materials working closely with key staff members to ensure the project was completed to meet certain target dates. The client understood that developing a consistent look was very important and we delivered on this for them on time and on budget.